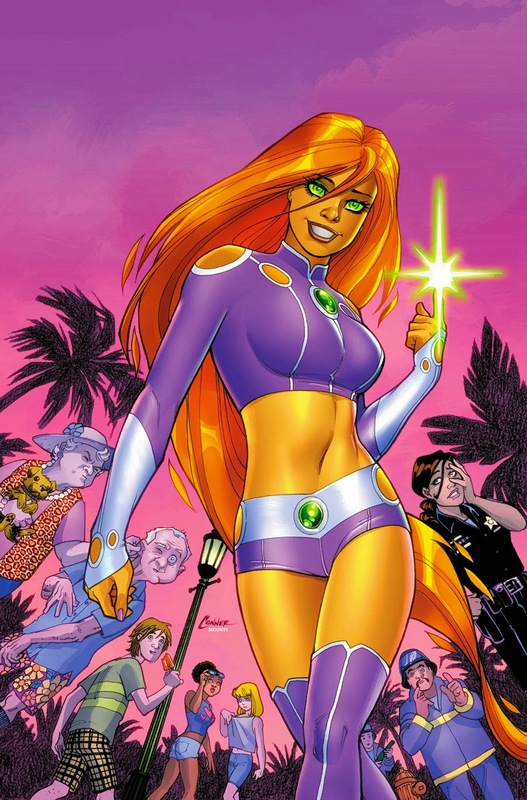 A less-sexualized version of Starfire than we've seen lately? I have written before how I essentially gave-up on DC. I now am not even reading "Injustice" as I feel going into a "Year Four" is pushing it for a prequel comic to a video-game that had minimal story anyway (plus I miss Tom Taylor writing it, but he went and got an exclusive contract with Marvel, I believe). "The Multiversity" is almost done too so what will be left from DC that I'm reading besides the Vertigo-published "Wytches"? Well, "Batman"....and that's it. However, DC is also starting to do their re-tooling of comics--or "Batgirling" as they call it, and with that is a smattering of new titles that actually look interesting. Yes, there are upcoming books which have me a bit excited for DC for the first time since their big 2011 re-launch. I did not see such an occurrence coming. 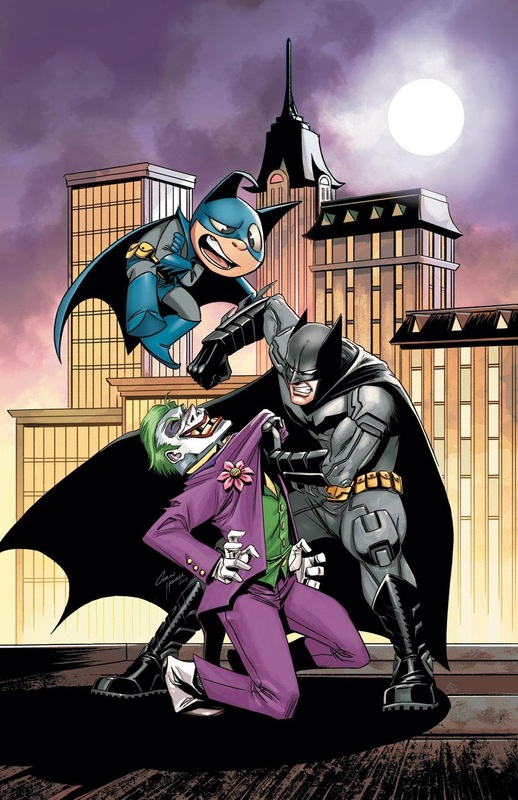 Whether it is getting Gene Luen Yang to write a "Superman" comic, having an all-ages comic still set the "Canon" DC-Universe in the form of "Bat-Mite" (and other titles), or actually having a "Starfire" comic come out where the character isn't treated as an over-sexualized joke, DC suddenly has some promising titles on the horizon. Plus, there is some diversity in the characters and writers with "Midnighter" featuring the openly-gay hero, and "Cyborg" is finally getting his own comic too. 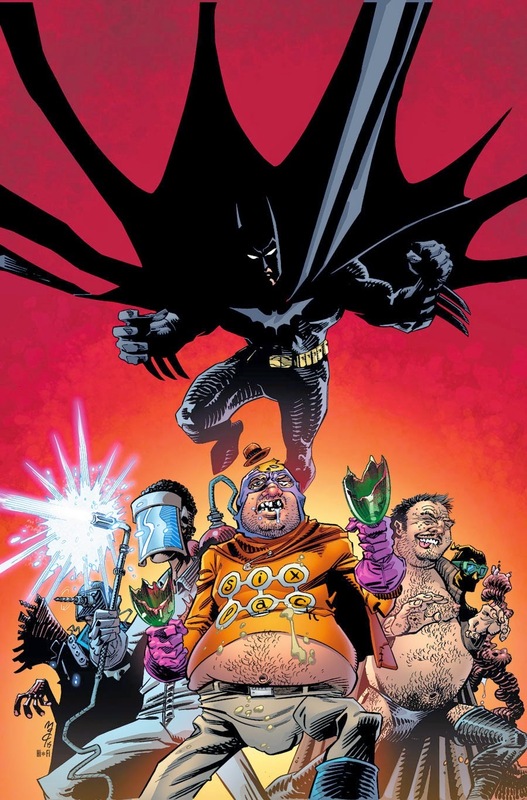 Also, the books are written by a gay man (Steve Orlando) and a person of color (David Walker), respectively--so even though you don't have to be a particular orientation or color to write a character, at least DC is showing a commitment to a wider variety of characters and authors who might bring a voice to those characters that other writers at the publisher have not yet provided. In addition, I have a soft-spot for Martian Manhunter (I feel he doesn't get the respect he deserves considering his skill-set and intriguing back-story) so seeing that he will be getting his own comic is snazzy too. Then, I'm not sure the famous (infamous?) "Hitman" comic ever happened in DC-continuity since the re-launch scrambling everything, but that isn't stopping Garth Ennis from doing a sorta-sequel to it focused on what has to be one of the worst super-teams ever, "Section 8". After pumping-out a lot of comics that had me caring less-and-less about the publisher, suddenly all these books will be coming out post-Convergence that have my attention piqued at least enough to flip-through the issues and consider purchasing them if my budget allows. Now, the question of course becomes if the potential in these new titles is in fact delivered upon. That is something we will only know for certain once the comics actually start coming out, of course. Still, for the first time in a long while I'm actually a little excited to see what DC has on-tap for us. I'll say it again, I did not see that coming.